The May 2005 National Council of Teachers of English (NCTE) Conference on English Education (CEE) Leadership and Policy Summit brought together over 75 past, present, and future leaders of CEE from across the United States to Georgia State University to rethink issues related to the preparation and continuing professional development of English language arts teachers and teacher educators (see the Leadership and Policy Summit home page). [Editor's note: URLs for hotlinks can be found at the end of this paper in the Resources section.] The goal of the working meeting was to assemble a collective knowledge base and a series of written position papers to guide future policy efforts of English teacher preparation and development in this country. For more details on the summit itself, see “Reconstructing English Education for the 21st Century: A Report on the CEE Leadership and Policy Summit,” co-authored by Suzanne Miller, CEE Chair, and Dana Fox, CEE Leadership and Policy Summit Chair. Swenson, J., Rozema, R., Young, C.A., McGrail, E. & Whitin, P. (2005). Beliefs About Technology and the Preparation of English Teachers: Beginning the Conversation. 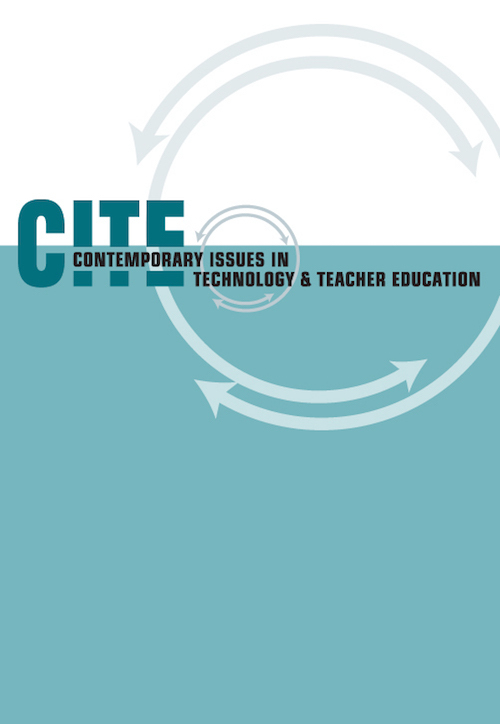 Contemporary Issues in Technology and Teacher Education, 5 (3), 210-236. Waynesville, NC USA: Society for Information Technology & Teacher Education. Retrieved April 18, 2019 from https://www.learntechlib.org/primary/p/21840/.